Hello everyone ! 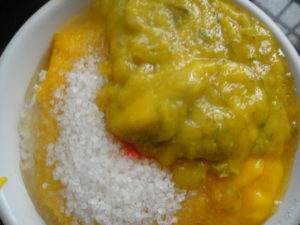 Today’s recipe is ‘ Aam ke Gulgulay’. You can enjoy them in summer season (mango season :D) during tea time. These are nice and golden on the outside, soft and warm on the inside. Another quick and easy to make recipe. Hope you all enjoy this recipe. 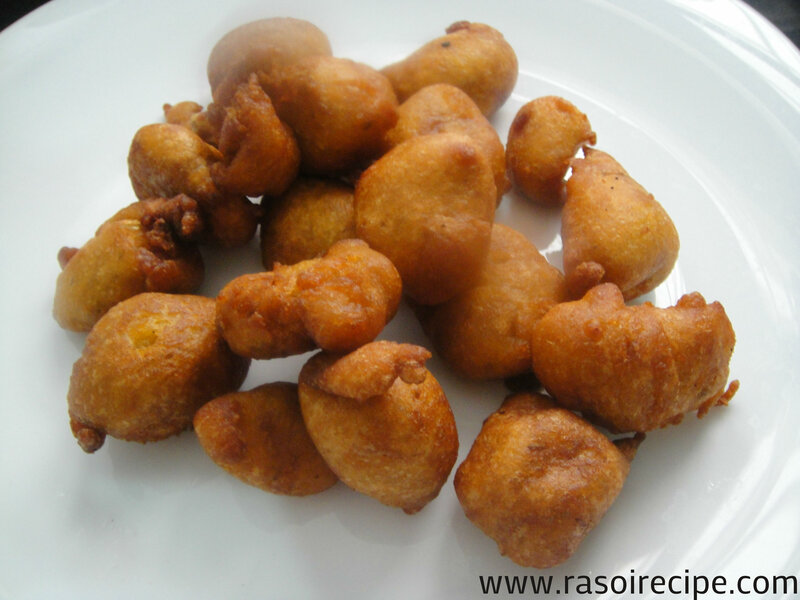 For more dessert recipes you can check Mango Basundi (Aam ki Basundi) Easy Eggless Chocolate Cake Coconut Laddoo (Nariyal ke laddoo) . You can share your re-creation of this recipe or any other recipe from Rasoi Recipe on our Facebook page or directly mail it to me on rasoirecipe@gmail.com . I would love to hear from you guys. Drop me a mail and I will get back to you as soon as possible. 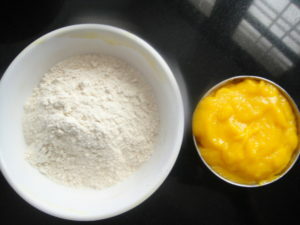 Sift flour in a bowl. Mix all the ingredients except soda in the bowl. Let it rest for a while. 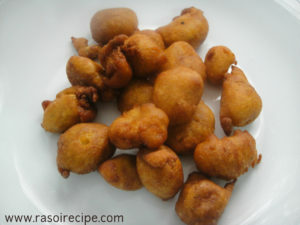 Just before frying fritters, add soda in the mix. Mix well. 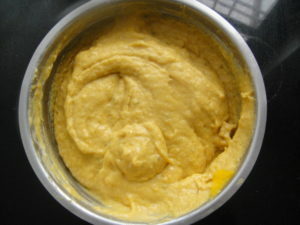 The batter should be like pakora batter(thick). Heat oil in a deep pan for frying. 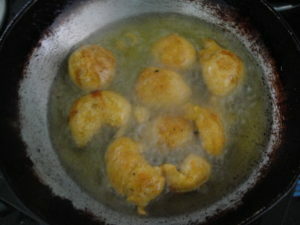 Fry them golden brown in color on medium flame. Serve it hot and Enjoy with family ! You can replace sugar by brown sugar or gud/jaggery.